Few physicists can boast having left a mark on popular culture. The career of physicist Werner Heisenberg (1901-1976), however, has had a double impact. The second part, more recent and unexpected, comes via the television series “Breaking Bad”, whose main character, chemist Walter White, chooses the nickname Heisenberg for his criminal activities. Though it is a stretch to see parallels between the fictional character and the scientist who won a Nobel Prize, they were both simple teachers when they achieved their greatest success. 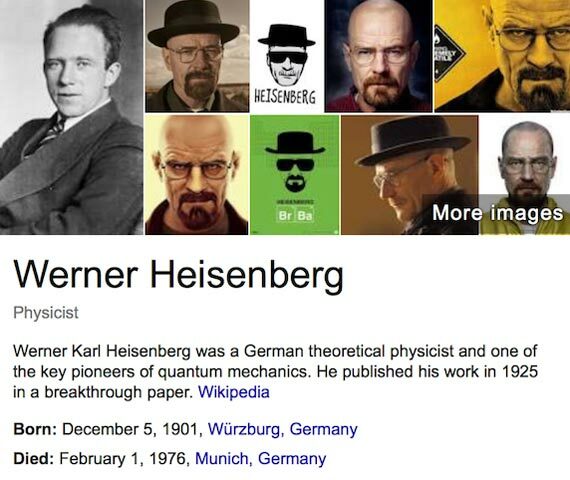 Until “Breaking Bad” reintroduced the name of Heisenberg to the general public, the German scientist was especially recognized for his uncertainty principle. Like a kind of cherry on the quantum theory cake, it says, to simplify, that the position and the speed of any particle (such as an electron that spins in an atom) can only be measured at the same time with limited accuracy. The formula of the Heisenberg uncertainty principle suggests that the greater the precision with which the position of a particle is known, the less accurately we can know its speed, and vice versa. This quantum result is often confused with the observer effect, applicable to many physical systems in general that are impossible to observe without altering them – for example, one cannot measure the pressure in a tire without letting out some air. The Heisenberg uncertainty principle, as he himself said, has nothing to do with the observation process. This uncertainty is a fundamental property of quantum systems (someone is observing them or not) and is a consequence of the wave-particle duality. Making a unscientific reinterpretation of his uncertainty principle and treating Heisenberg like a quantum particle, we could say that the more we focus on the mark that he has left on popular culture, the less we know of his true importance as a scientist. 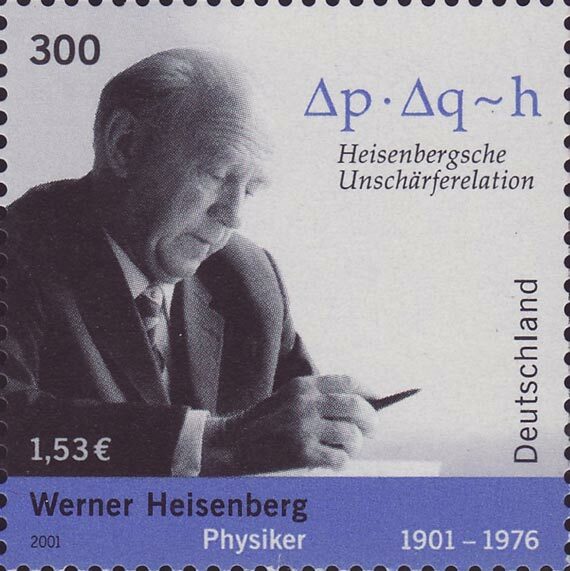 Werner Heisenberg received the Nobel Prize for Physics in 1932 “for the creation of quantum mechanics”. The scientific merit of his achievement is that compelling, yet it is less well known than his uncertainty principle. Until Heisenberg came along, the quantum theory of the atom had a foundation of classical mechanics, patched with new quantum formulas. Shortly after completing his doctorate, Heisenberg decided to organize and polish all the quantum theory he had been taught by his professors Bohr and Sommerfeld, starting from scratch, in order to give it an adequate mathematical formulation. He devoted the first semester of 1924-1925 to the task and, at the age of only 24, he developed matrix mechanics, the first complete and correct definition of quantum mechanics. In addition, Heisenberg made great contributions to theoretical physics in very different fields, which represented leaps in the understanding of cosmic rays, ferromagnetism, superconductivity, the atomic nucleus and subatomic particles. He also played a key role in the launch of the first German nuclear reactor in 1957, but much less clear is his contribution during World War II to the nuclear weapons program of the Nazis, who had attacked him as an advocate of “Jew science” (relativity and quantum theories). Whatever the case, this dark period of his scientific career ended with Heisenberg being captured by Allied forces in Germany in 1945 and imprisoned in England in Operation Epsilon, along with other great scientists implicated in the German nuclear project. In the last years of his career, Werner Heisenberg focused on unified field theory, a kind of “theory of everything” that seeks to explain the fundamental forces and elementary particles. Today this theory remains the Holy Grail of particle physics, but in 1958 Heisenberg thought that he and Wolfgang Pauli had found it, and announced on a radio program that it only lacked some “technical details.” Pauli was infuriated by Heisenberg’s premature announcement and mocked him in a letter to physicist George Gamow. “This is to show the world that I can paint like Titian. 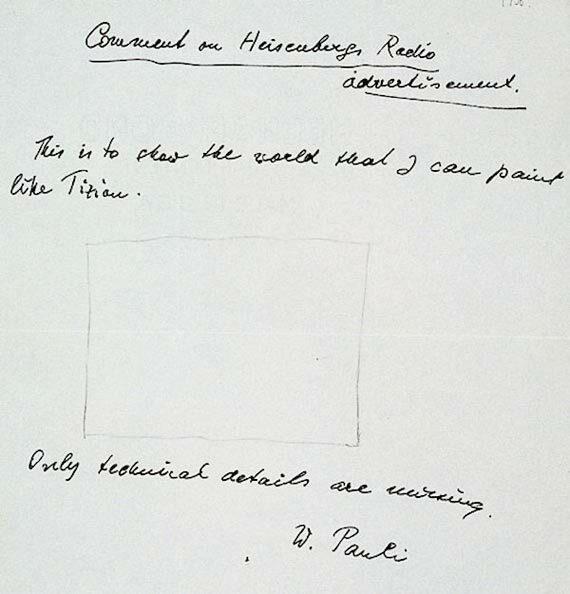 Only technical details are missing,” Pauli wrote under a drawing of an empty rectangle.